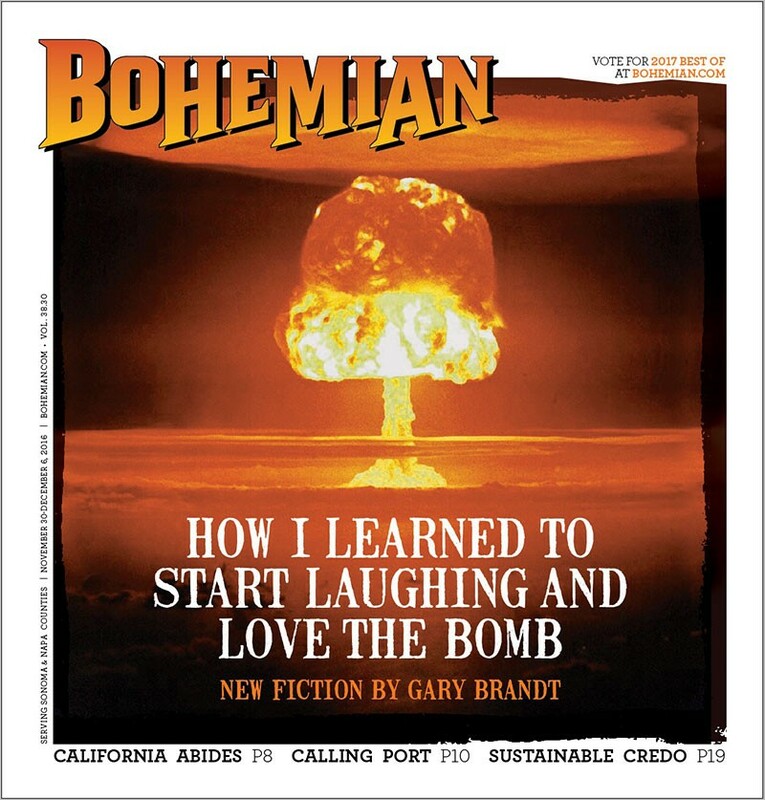 The November 30 issue of the ‘North Bay Bohemian’ (full disclosure: I work there) features ‘The Vault Apocalyptia’ as its cover story, and includes an excerpt from the first exhibit (different than those on the Stormy Day site). Yes, that’s the cover. What better way to ring in the holidays than a toasty, glowing H-bomb cloud? The feature is here. 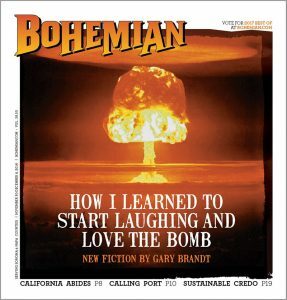 The online version also has a very weird, very meta ‘review’ (with footnotes—and footnotes on footnotes) of the novel by Bill Saunders, a New Haven, Connecticut, artist, rabblerouser, and vocalist for Captain Beefheart cover band (how cool is that?) Doctor Dark.